Our next stop was Yongning District, Nanning City, Guangxi Province, to visit Lai Bi’s father, Lai Yundi (赖运迪). Yongning was originally one of Guangxi Province’s Zhuang ethnic minority autonomous counties, bordering Nanning city. With the development and expansion of Nanning, Yongning was merged with the city and became a district of the city. On October 16, we set out from Guangzhou on an overnight train and arrived after 7 a.m. the next day in Nanning. After finding a place to stay, we called Lai Yundi’s son-in-law. In all these years, it was through his son-in-law that we kept in touch with Lai Yundi. He told us on the phone that we could take the 701 from the train station directly to Yongning, and he would meet us at the Yongning train station. Yongning, while it has become part of Nanning, still looks like a county town in terms of its physical scope. The roads are not well laid out, and the streets are relatively narrow. Lai Yundi’s son-in-law met us at the station and took us to his apartment, which he and his family were temporarily renting. They bought another place closer to the city, in a very nice area, but haven’t started living there yet. The rented apartment is a 7th-floor walkup. You really had to work to make it to the top. The apartment was quite large. But because it was a temporary residence, there was not much furniture and it was relatively open. 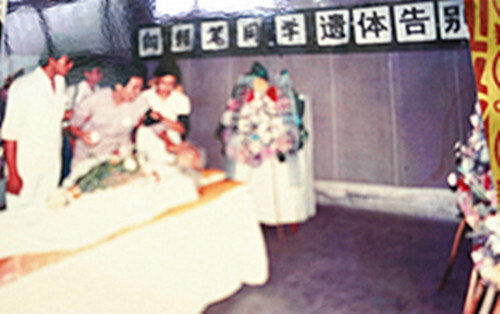 Lai Yundi’s son-in-law works at the Yongning District People’s Hospital. 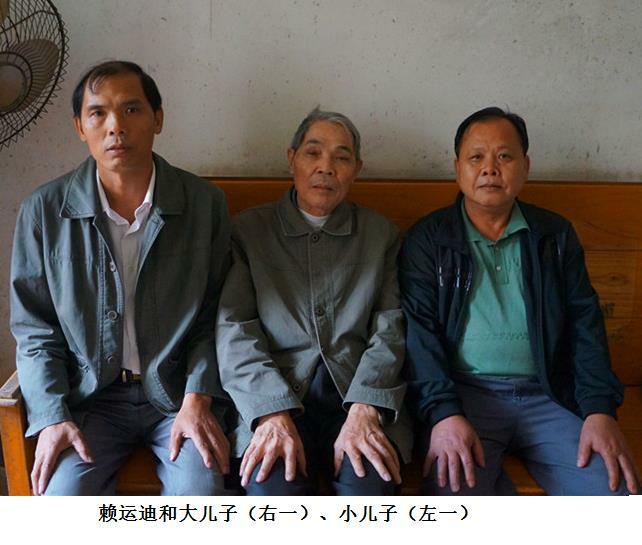 He is 60 years old and retired, but returned to work at the hospital’s testing lab. Lai Yundi’s daughter passed away in 2010 from cirrhosis caused by hepatitis B, leaving behind a son and a daughter, who both studied medicine. The son already has a family, and the daughter is working with her father—Lai Yundi’s son-in-law—at Yongning District People’s Hospital’s testing lab. Lai Yundi’s son-in-law has a new family, but did not formally marry. His current spouse works at the Party’s Political and Legislative Affairs Committee. His own parents were attacked during the Cultural Revolution and so he is sympathetic to those who suffered June Fourth. Lai Yundi and his son-in-law have a very good relationship. We met the elderly Lai Yundi at his son-in-law’s place. He was accompanied by his second son, and came from Nalou town in the countryside to see us. Upon seeing the good health of the elderly gentleman, we were very happy for him. He exercises every day and goes for walks every morning and evening. He is rarely sick. Lai Yundi and his young son (left) and eldest son. After eating, we suggested going to see his current residence. The son-in-law’s wife has a car and drove us to Nalou town. As soon as we left Yongning District, it began to drizzle. Because it rains often, parts of the road are not in good condition. Originally, we wanted to go to Lai Bi’s grave on the way to Lai Yundi’s home but dropped the idea because of the rain. Lai Yundi was born in 1931 of the Zhuang ethnic minority. He is 82 years old. His wife, Dai Zaiqin (戴载勤), a year older than he, died from a cerebral stroke in 2007 at the age of 78. The couple had four children: one girl, the oldest, and three boys. Lai Bi was the youngest. Lai Yundi currently lives with his younger son in a two-story village-style building. It is sparsely furnished. The first floor is a medical clinic where Lai Yundi’s eldest son sees patients. Lai Yundi’s younger son does not see patients himself and assists with giving shots and handling purchases. The second floor is their residence. The building is on Nalou town’s main street, facing two other two-story buildings, which are currently rented out as shops. Lai Yundi’s eldest son’s home is also quite nice, better than the second son’s. You can say that Lai Yundi and his two sons are doing quite well. Lai Yundi’s own father was a local Chinese medicine doctor. Lai Yundi followed in his father’s footsteps. In those days, Lai Yundi’s travelled 4 to 5 li [2 to 2.5 kilometers] from his home in the countryside to Nalou town to see local village patients at the United Clinic. Lai Yundi both worked and took care of Lai Bi. Lai Bi’s death was a thunderous blow to his father, causing him immense grief. After receiving the notice of Lai Bi’s death from the school, Lai Yundi and his son-in-law went to the school to settle everything and stayed in Beijing for three nights. “Two students from Peking Medical University were shot to death—did you know that? The other student was female. The school notified us that the two children’s memorial services would be held together. Later—I don’t know why—they said we would not hold the services together,” said Lai Yundi. Lai Bi, also named Lai Maozhu, male, Communist Youth League member, born in 1968 into an ordinary Guangxi Zhuang Ethnic Minority family of doctors. In September 1986, he was admitted to the Central Minzu University’s preparatory class. In September the following year, he transferred to our school majoring in medical science. He was in the entering class of ‘87, group 3. 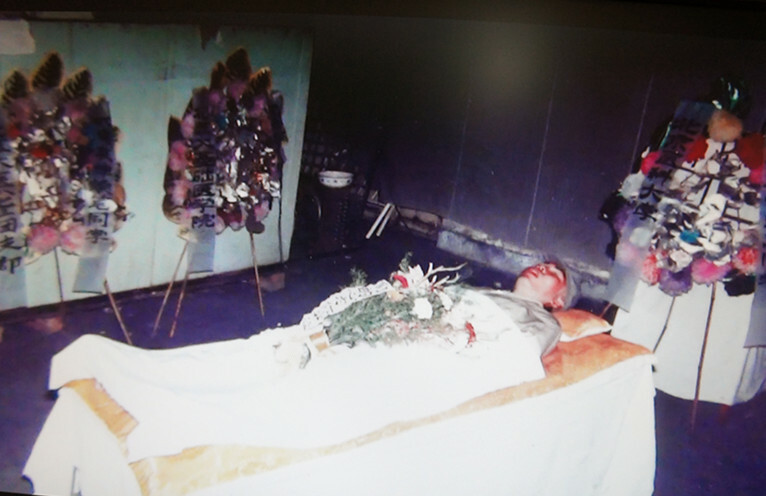 On the evening of June 3, 1989, on Chang’an Avenue west of Tiananmen, he was accidentally wounded. The Peking Medical University’s No. 1 Affiliated Hospital tried to but could not save him. He died at dawn on June 4. Classmate Lai Bi, during his time at school, was very involved in his class, and supported the class cadre’s work. He was open and cheerful and treated others with sincerity. In these two years, he had good relationships with his classmates. He studied diligently and received good grades. Classmate Lai Bi had a wide range of interests, was filled with vitality, and left a deep impression on his classmates. Classmate Lai Bi was killed unfortunately. We express our heartfelt grief! Peking Medical University. June 15, 1989. “It’s been 24 years since the June Fourth tragedy. Next year it will be 25th anniversary. Sir, please don’t hesitate to tell us your thoughts or communicate them to the families of the victims in Beijing,” I said to him. Grandfather, say what you want to say. To have nurtured a child to go to Tsinghua University [sic] is not easy. Don’t hold back anything in your heart anymore,” the wife of Lai Yundi’s son-in-law said. “Yes, grandfather, if you don’t do what you need to do, no one else can do it for you. Only by standing up yourself can you get justice from the country for your son.” Wu Lihong said to him. This is an ordinary country doctor, one who does things cautiously. An elderly man with a timid and fearful nature has finally stood up to defend his rights as a citizen, and to ask for justice for his wrongfully killed son! This is the final stage of liver disease. Lai Bi (赖笔), 21, male, a student at the Peking Medical University (北京医科大学). 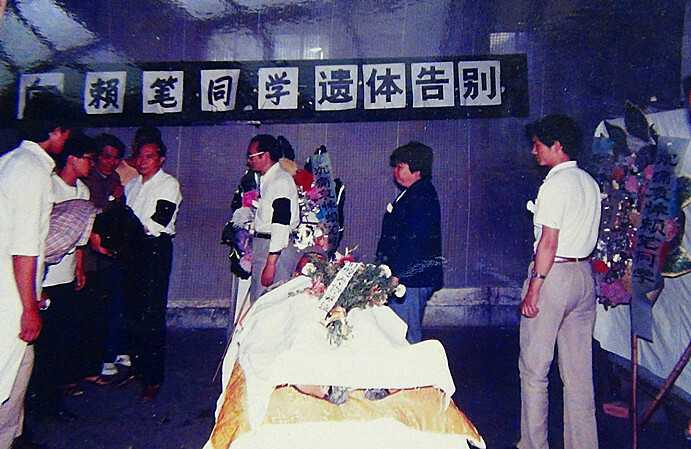 He was struck in the head by a stray bullet on West Chang’an Avenue on the night of June 3, 1989 while helping rescue the wounded. He was taken to the Peking Medical University No. 1 Affiliated Hospital, where he died at dawn on June 4.